BRP (TSX:DOO), the number one snowmobile manufacturer in the world presented a new snowmobile platform and a new engine together for the first time in 20 years during its semi-annual dealer meeting in Dallas, Texas. The combination delivers Ski-Doo snowmobiles that are effortless with precise handling and thrilling power. "We revolutionized the snowmobile in 2003 with the original REV platform by completely changing how consumers rode. 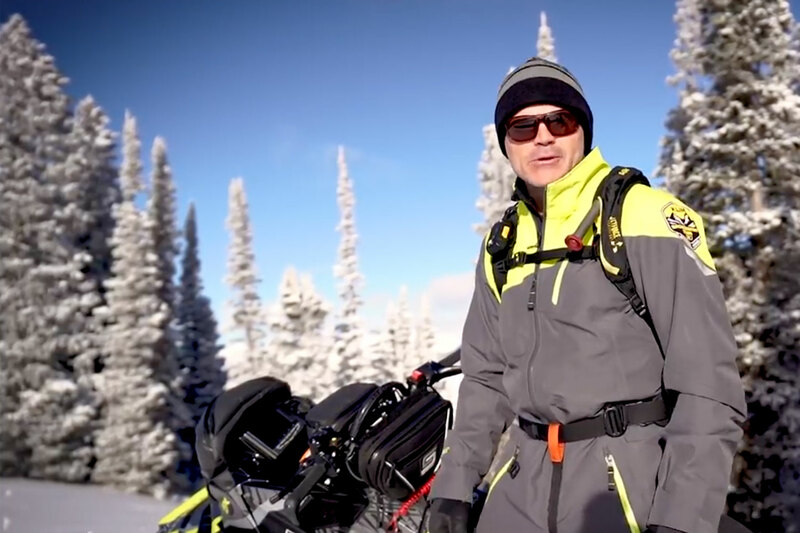 Once again, we challenged ourselves to re-think a snowmobile from a blank sheet of paper by designing it around the rider to give them the best experience on snow," said José Boisjoli, BRP's president and CEO. "The new Rotax 850 E-TEC engine is the most sophisticated snowmobile 2-stroke engine in the world, delivering an unmatched combination of power, responsiveness, fuel economy and oil economy, all in a lightweight, unique and durable package. The project’s code name was ICE, for Incredible Consumer Experience, and I am confident that is exactly what these new vehicles will be for snowmobilers." By specifically designing the engine and platform together, BRP is able to provide snowmobile riders with a host of benefits that redefine agility in deep snow and precision on the trails. The vehicle is extremely narrow and bodywork is minimized, giving the rider more room to maneuver. The additional room combined with new ergonomic improvements such as a bevelled tunnel, Ergo-Step side panels, open toe holds and a unique forward-adjustable riser allow riders to customize their riding position to their style. The vehicle’s weight is also centralized from side-to-side, giving snowmobilers even more control over the sled. Under the hood is the next generation of BRP’s E-TEC direct-injection technology in the form of the Rotax 850 E-TEC 2-stroke engine. It unleashes 165 horsepower, 10 more than its predecessor. Riders will also appreciate its 30% quicker response, which instantly delivers the extra power. More than 90 new accessories will be available for the new Ski-Doo models when they go on sale in the fall, adding function, features and style. The collection includes everything from windshields to GPS systems to several new items for customizing the fit to a rider’s style. Also of note are redesigned fuel caddy and tunnel bags using BRP’s exclusive and popular LinQ cargo system. The cargo bag can be attached to the top of the fuel can, so owners of shorter- tracked sleds can now attach both items, a feature requested by consumers. Full details on the 2017 Ski-Doo snowmobiles, Spring Fever promotion and spring tours are available at the all-new ski-doo.com.